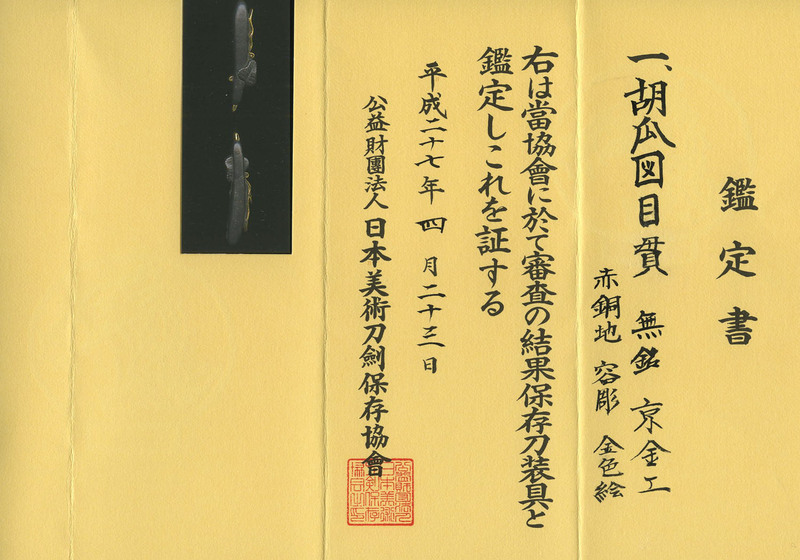 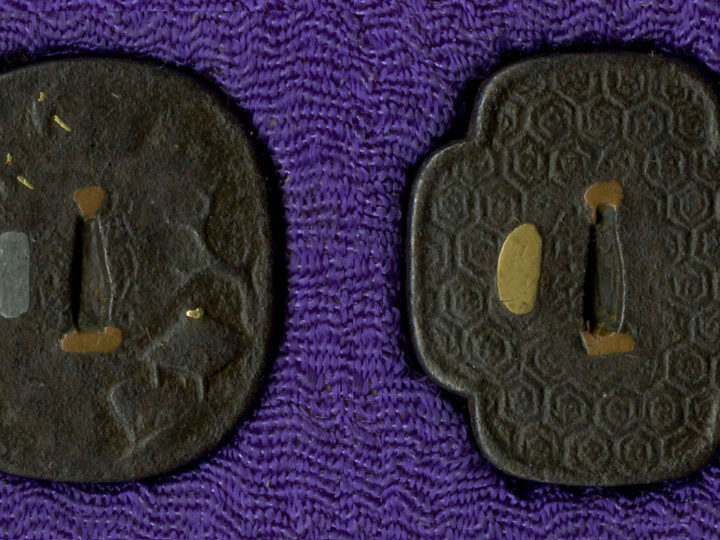 This is a very attractive pair of shakudo menuki with gold highlights. 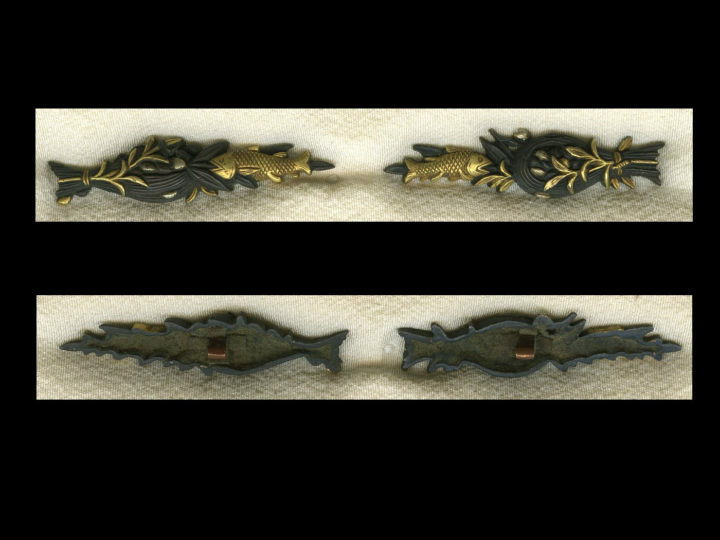 They depict a pair of Japanese cucumbers. 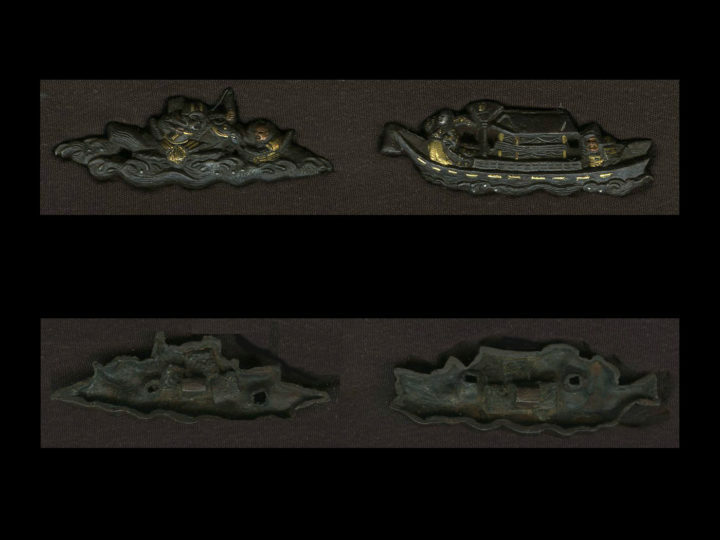 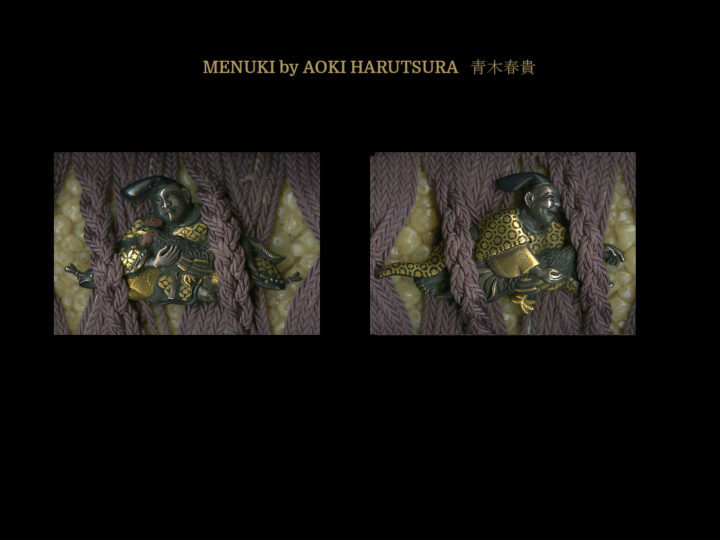 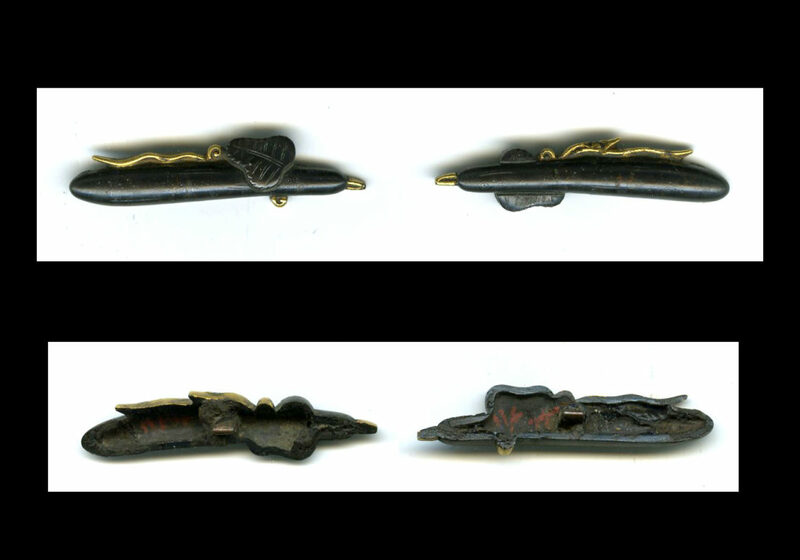 These menuki measure 1 5/8 inches or 4.1 cm in length and come with NBTHK Hozon papers attesting to their quality and attribution.